Year 7 Catch Up funds are allocated for pupils in year 7 who have not achieved expected attainment in year 6. The aim of the funding is to close the gap on attainment with their peers. This obviously includes all of our pupils and despite our best efforts it will be unrealistic to achieve the level of attainment of their mainstream peers. 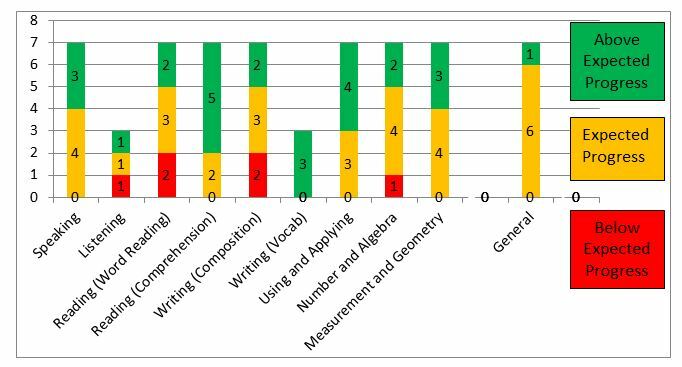 We consider the funds have been successful if the pupils are able to achieve expected or above expected progress in elements of Literacy and Numeracy and the nearest equivalent strands for our PMLD pupils. In 2017-18 there were ten pupils in year 7, three of whom have profound and multiple learning difficulties. 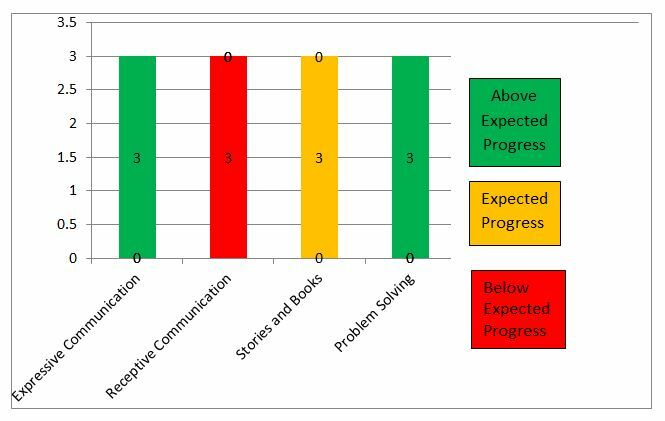 Interventions with these were all done at an individual level and were led and supported by Hannah Whiting; our lead for Boosting Achievement and Inclusion. Direct discussion and support to class leads on developing strategies to improve progress. Progress meetings using data to highlight those not on track to make expected progress. Direct training with Teaching Assistants on approaches to literacy and numeracy. This was a really strong set of data showing the interventions were very successful. Particularly pleasing is the proportion of pupils achieving above expected progress. One pupil underachieved in 3 strands, she will be the focus of targeted interventions again this year including a change of class. Three pupils did not achieve expected progress in receptive communication. All find processing, following or responding to prompts and instructions very difficult. They will be the focus of targeted interventions again this year. This year there are five year 7 pupils who will all receive individual interventions. Support around approaches to learning to meet individual needs. Staff Training in literacy and numeracy. In 2018-19 the school has been allocated £5,500.